Chipping my nails when I’m out and not being able to do anything about it. Nail polishes that are hard to remove or take a long time to remove. When I heard about Little Ondine I thought if their features work then they would perfectly combat these issues. 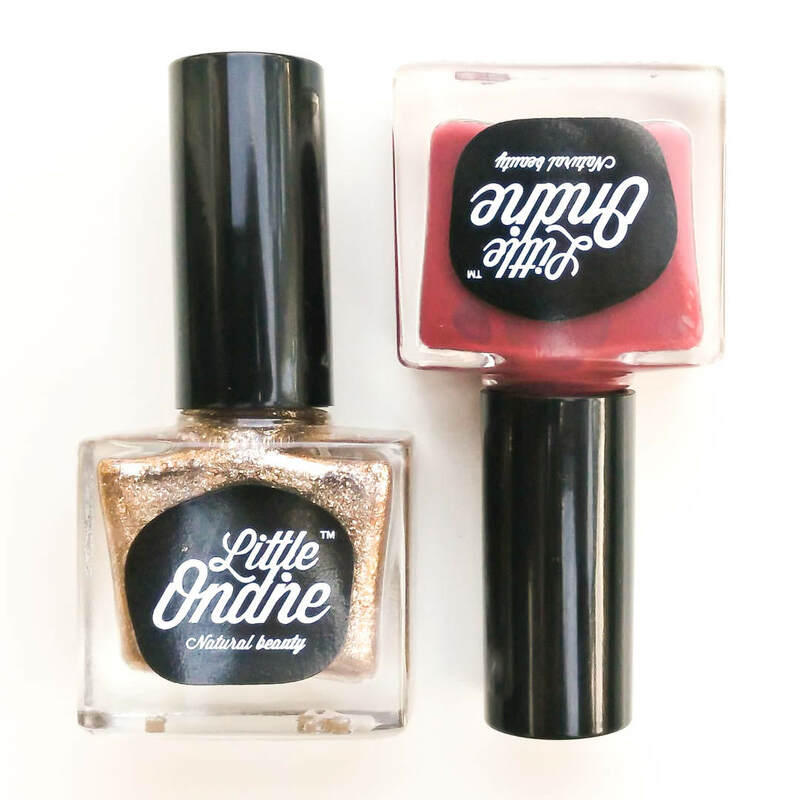 Little Ondine is a new nail polish brand in the UK with some interesting characteristics. The main points on Little Ondine is that it’s fast drying, peels off in one piece (no remover needed), is odourless, made of natural ingredients and is available in more than 80 shades. The shades vary from pastels, brights, metallics, shimmers and glitter polishes. 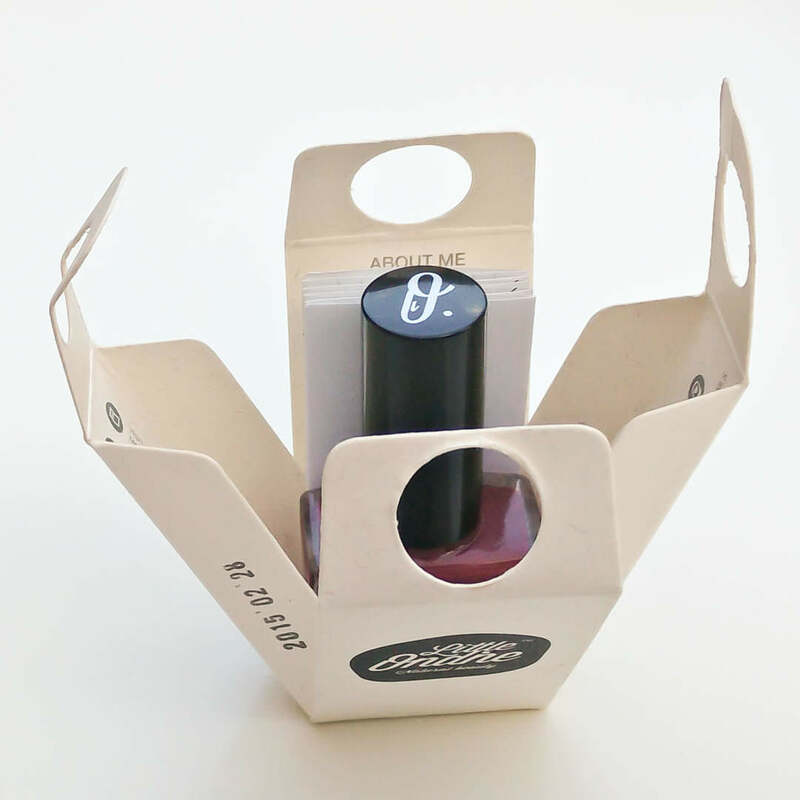 The polishes are easy peel off and are practically odour free. The polishes are made from naturally derived ingredients (water, purified resin and colourants) so are toxin-free. The polishes are fairly quick drying but most importantly for me are cruelty free and vegan friendly. These nail polishes are preservative free and pregnancy friendly and have a shiny, gel like finish. The polish formula means that these polishes cannot be used with other nail varnishes. The packaging is also very pretty and quite unique. 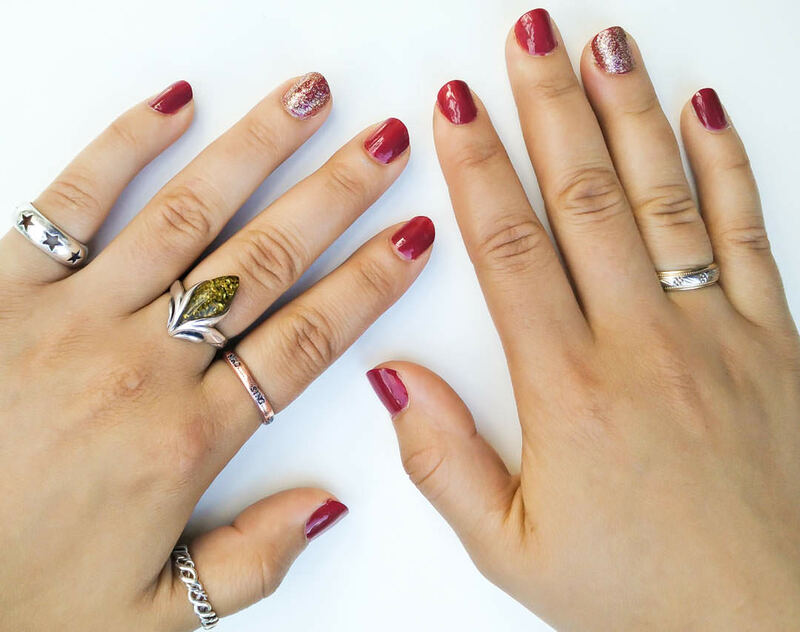 The polishes I am sharing with you today are True Love (L073) and Copper Spark (L025). I love the wine red mixed with the copper sparkle, a very glittery gold polish. So far I have done two manicures with them, the first wasn’t as long lasting as it started to peel at a party. Usually I would have minded this, being out and not being able to take off the polish, but with Little Ondine I was able to peel off all the colour and not have tatty nails. 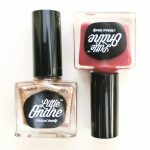 My second manicure is lasting longer but I would like to try the Little Ondine Secret polish as this can be used as your base and top coat to get a longer lasting effect and a brighter colour.